I'm a typical irritating Londoner &, after much consideration, I'm going for Dennis as my favourite. He's the cement that holds them all together. Ive heard of rock groupies HerrPfister but never cement groupies ! Find it hard to believe that Oz is so far out in front in the poll and Dennis and Wayne are so far behind. Prefer both of those to Oz as I find them both far more sympathetic in character but everyone to their own I suppose. My favourite character has to be Wayne. I really like that brown eyed boy alot! But recently I have found out how much I like Barry and Moxey, too! They are both a bit like me. As a 13 year old watching the series first time round my favourites were Wayne and Oz. Now I can see the merits of each and I probably like Dennis as much as the other two. Nev, unfortunately, has to be my least favourite. But then again it's like asking who's your least favourite Beatle. All are great but some just a little more so than others. Very true squire. Mind, my least favourite Beatle would have to be Ringo. I reckon when John and Paul were plotting to get rid of Pete Best, John would have said, "Put Ringo down for drums, he likes hitting things !" Tracy wrote: my least favourite Beatle would have to be Ringo. I reckon when John and Paul were plotting to get rid of Pete Best, John would have said, "Put Ringo down for drums, he likes hitting things !" Ringo has always been my favourite Beatle! And John, too. No, John would never have said that! And why should he?? Mind you, Tracy, Ringo is not - and has never been - like Magowan!! ... and Keith Moon, and Terry Bozzio...! Oz is my favourite , by the way did anyone ever notice that big bogey up his nose when he woke up on a plane! Vile! Oz especially when answered the front door at Thornley manor,and in his best posh chat said go on p off my property. 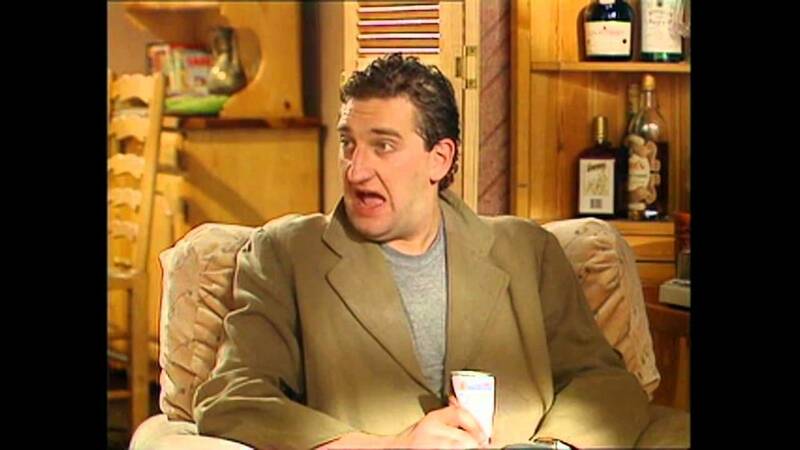 Its the difficult ones that people like as they ad frission to the equation - Oz being the classic unpredictable bad boy of the series - even Jimmy Nail knew this hence he wanted to mellow that character a bit for the third series. I heard he threw his weight about a bit and of course he knew that the series wouldnt be as good with him out. Still thats what happens. Its hard to pick a favourite as they are all so different - Neville flags as he seems to be the more normal of them all more like johnny everyday, bit staid and a bit boring. Dennis the ring leader that held the crew together. Moxey the criminal running from the law Bomber the big understated presence who had spades of gentle menace.... Struggled with Wayne at first - so different from the rest, cockney wild wide boy.... Barry the bore, and listening to Tim talk about Barry and how he was type cast through that character it really brought home just how strong a character he made in Barry. Has to be OZ for me. I have some of his traits - messy, nationalistic and always getting up the bosses nose - in my case the marjorie. Would have loved to have been baconballs in the Kenny Ames video, the jammy arab.